Riot Games is pleased to announce the very first Twitch Rivals TwitchCon Europe events, ‘Twitch Rivals: League of Legends TwitchCon Europe Country Showdown’, and ‘Twitch Rivals: League of Legends TwitchCon Europe All-Star Showdown,’ which will see the world’s leading League of Legends streamers compete live at the highly anticipated inaugural TwitchCon Europe on April 14th in Berlin. The qualifying tournament, ‘Twitch Rivals: League of Legends Road to TwitchCon Europe Showdown,’ sponsored by Twitch Prime, will take place on April 3rd. To celebrate, Twitch Prime members will be treated to a Summoner’s Crown Capsule, which will contain a random Permanent Skin, Ward Skin, and Summoner Icon. The TwitchCon Europe Country Showdown will see the top four national teams made up of fan favourite EU content creators battle it out for $75,000, whilst the TwitchCon Europe All-Star Showdown will showcase the ultimate clash of regions as five North American and five European League of Legends stars compete for $25,000. The Road to TwitchCon Europe Showdown qualifying tournament will run on April 3rd and will lock in the four best European streamer teams who will perform live for TwitchCon Europe attendees in the TwitchCon Europe Country Showdown. Fans will be able to take in all the Road to TwitchCon action from their favourite streamers’ perspective live on their own Twitch channels. TwitchCon Europe All-Star Showdown will see five handpicked NA League of Legends streamers from the first Twitch Rivals: League of Legends Showdown that took place in January, and a handpicked EU team to represent the entire continent against NA. Alongside the star-studded Twitch Rivals competitions, Riot Games will also host a series of exciting fan focused events at TwitchCon Europe. On Saturday April 13th fans are invited to hang out at the outdoor gaming truck on Saturday that will host 20 streaming stations, attend Meet and Greets with their favourite streamers and head over to the League of Legends LAN Area to grab swag and exclusive game codes. 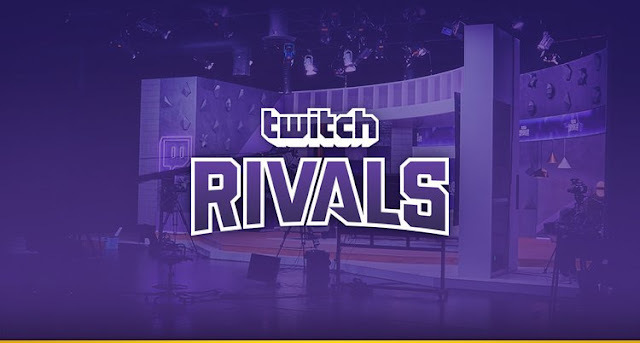 For more info please visit rivals.twitch.tv or TwitchCon Europe.